How do you know when the best time to sell your property is? Here are some factors you need to take into account. One of the big questions people ask when they own investment property is, when is the best time to sell my property? Hey! 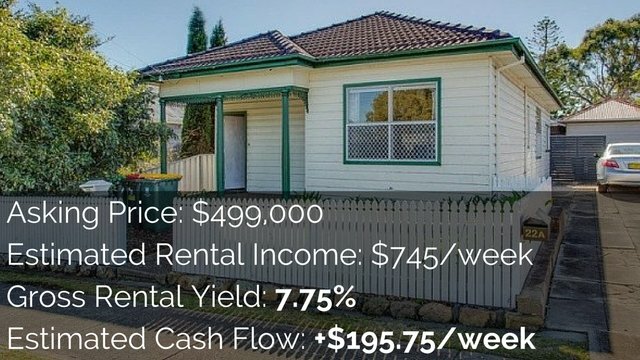 I am Ryan from OnProperty.com.au, helping you find positive cash flow properties. 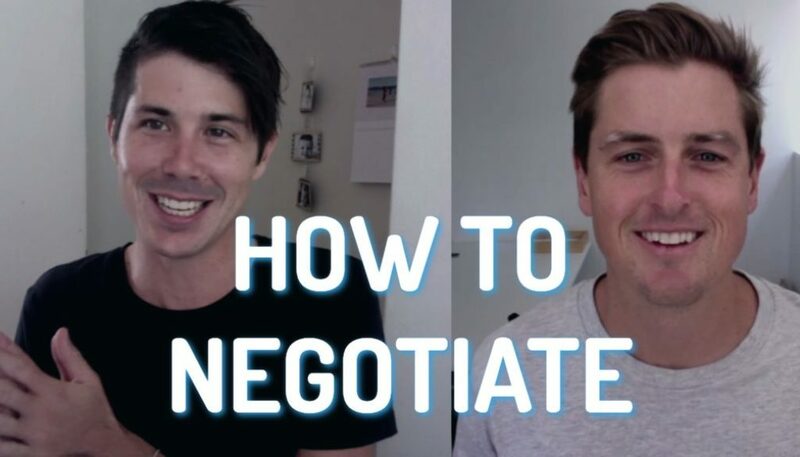 And today I have with me, Ben Everingham, my buyer’s agent of choice from Pumped On Property, to discuss this in more detail and talk about how do you know when is the best time to sell your property. Ryan: So, hey Ben! Thanks for coming on today. Ben: Good day Ryan! Thanks for having me. Ryan: Okay. So, basically very few people will hold every single property they purchased forever. So there is going to come a point in most investors’ lifetime where they are going to need to sell a property. And so, how can investors assess and know when is the best time to sell their property? Ben: Yes, I think the first thing is obviously understanding where the market is at. And if you are going to sell, obviously the time to start to sell would be at the peak of the market or the top of the market. So for example, you hear about these people who made $300,000, $400,000 in Sidney over the last 3 to 4 years that have already cashed out, and are now moving that money into other asset classes outside of property, or they are moving that money into alternative markets that are rising outside so that they could continuously rinse and repeat that strategy throughout their investment cycle. Ryan: Yeah, I guess the ideal is you buy low, you sell high; you pick the peak of the market, get out. And then the market stagnates, so it goes down but you are not a part of it. You then take that money and you go and invest either in another market, where you are expected to grow; or in a different asset class, as you said. So, do you have any tips for people on how they can pick the top of the market? Because obviously that is something that is quite difficult to do. Ben: Yeah, so obviously we had a quick chat about this before today’s conversation, and I think I keep hopping on about it, but the HTW month-in-review report, from the residential and from the rural and from the commercial property perspective, publishes a great free report each month, which puts each major metro market and regional market in Australia rental property clock, based on peak of market at 12, bottom of market at 6, and rising at 9, declining at 3. So, from that perspective it makes a lot of sense to maybe start your inquiry in terms of understanding where the market that you and your properties are at, so that again, if you are thinking of cashing out at one property you can cash out on the property that is at peak of market or about to start declining. Ryan: Okay. So, what was that report called? Just so people can Google it, if they want. Ben: That is the HTW month-in-review report, and that is a fully free report. Ryan: Okay. Guys, just go into Google and google HTW Month-in-review report, and it will come up for sure. I think I Googled it last time and I found it pretty easy. It is a free report that everyone can get access to. And other way that I found useful to track the stage of the market that is something is at is the free DSRdata.com.au. If you own a property already, then you are probably not going to be doing a lot of research into an area. But they do have a cool tool where you can put in your suburb or your property or where your property is, and it will monitor it. And you set criteria based on what you want to see. So let us say DSR, which is demand-to-supply ratio; let us say it is at 70 or something like that out of a hundred, you can say, “Notify me when the DSR drops below 65 or something like that.” And they have so many different criteria like auction clearance rates, vacancy rates, vendor discount, all these stuff in the area; so you can go in, and you can set criteria and you can get email notifications if the market starts moving downwards. So, I think, by combining those two would probably give – I think that is the easiest way to get a gauge on how your market is going. Ben: And that is really interesting because you hear about people in the Share Industry or trading shares or commodities, always have their daily market updates and their stop losses set so if the market drops by a certain amount in a period of time, that is acceptable to them. They will get an alert and they can make the decision from there. But you do not hear a lot of people in property investing actually setting up those automated alerts. And you said if you have, property moves a little bit slower but it still does move, so if you have those automated emails coming through once a month, once a quarter, at least you have a finger on the pulse of the market. And if things are changing and you do not know – and things can change obviously very quickly as well. Ryan: And so, what about the people – so obviously, ideal world, we buy a property at the bottom of the market, it shoots up in 2 years; we make $100,000, $200,000, and then we sell at the peak. But what if we have owned a property, maybe we have missed the peak and the property market is now declining, how do people know, “Do I get out and sell now? Do I hang on and hope for the best in the future?” What do you think about that? Ben: Look, that is a really interesting question because my thoughts on property should be viewed as a 10, 15, 20, 30-year asset and investment. So, when I am buying property I am not buying anymore to buy and make a quick buck and get out. And everybody has their own opinion on this and everybody that you speak to has a different one as well. So, that is just my strategy. When I buy a property, I am looking to make some money on the long end, even through natural capital growth and the rising market all through manufacturing some growth. But then, post-making that initial amount of money on the way in, I am really looking at the long term 4% to 5% annual increase in the value of the property. 4% is where I sort of see the Australian market heading long term, so which means instead of it doubling in property values in 7 to 10 years; we are talking about it doubling in value over the next 25 years which seems a lot more realistic to me. Ryan: Yeah. So, your strategy is really hold on and hope for the best. So, if you are in the market that is declining you would be more inclined to hold that property than to sell it. Ben: Correct, because every market goes through stages of growth, obviously plateauing in decline regardless of the asset class. And so, sometimes people will begin to sell in a market that is declining and that makes a lot of sense for some people, depending on where they are at in their investment journey. But for others, it means making a loss. And if that property is cash flow neutral and you do not have any options to pull that money out and put it into anything better. Sometimes it can be a little bit safer if you just ride the storm. Most, even the GFC, potentially it would last 4 to 5 years in the worst of the worst countries start being like major depressions might last for 10 years. But if you can ride those painful periods out, at some stage or another, property markets over time, will potentially come back to where they were in the past. Ryan: Yeah. And I guess the exception to this rule would be areas that may show no sign of recovering in the future. So, if for instance you have invested in a high-risk mining town or something like that, and the mining boom is over, mines are shutting down, everyone is just fleeing the area, and it is never likely to come back, that could be an exception to the rule. But I think what you are talking about is more your staple properties in capital cities or quite large regional areas. Is that right? Ben: Absolutely! And hopefully everybody in your audience is not chasing that short-term buck in the mining towns and are looking at long-term potential for growth as well. Ryan: Yeah, mining towns are super scary because they can shoot up, huge growth, you can get great cash flow, but then they can also decrease super quickly like we have seen in Port Hedlands, South Hedlands in Western Australia. They had massive rental yields of like 10% to 13% or something like that, but yeah, property prices have been plummeting there in the last 12 to 24 months. So, definitely do your research into your area. If you believe that there is obviously long-term possibility in your area for it to recover and to be a good area in the future, then maybe it is worth holding on through the storm. But if you are looking at it and you are like, “This area is going to be dead in the next 10 years.” You might want to make a different decision. Ben: See, one thing that property investors are really good at is doing the research on the way in. 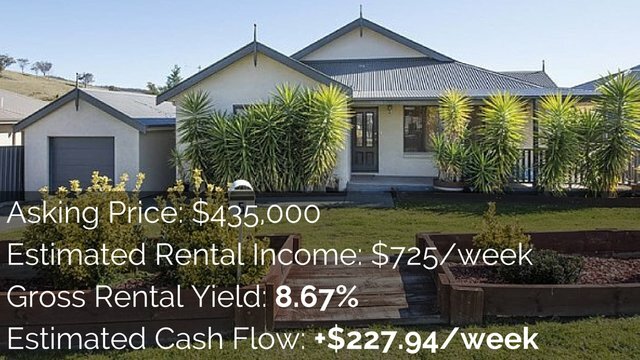 But then, it is extremely rare for investors – also for your average investors, the line is between 1 and 3 properties, they then take it to the next level, which is having regular evaluations of where that property portfolio potentially sits. And so, I suppose as you said before, regular checkups on how the market is performing are super important. But on top of that, if you have an asset class which is under-performing, you have to look at the opportunity cost of that money being stuck in something that is not actually getting you anywhere versus I suppose the pain and the emotional tide of actually letting that property go because for a lot of people there is an emotional attachment to an investment. 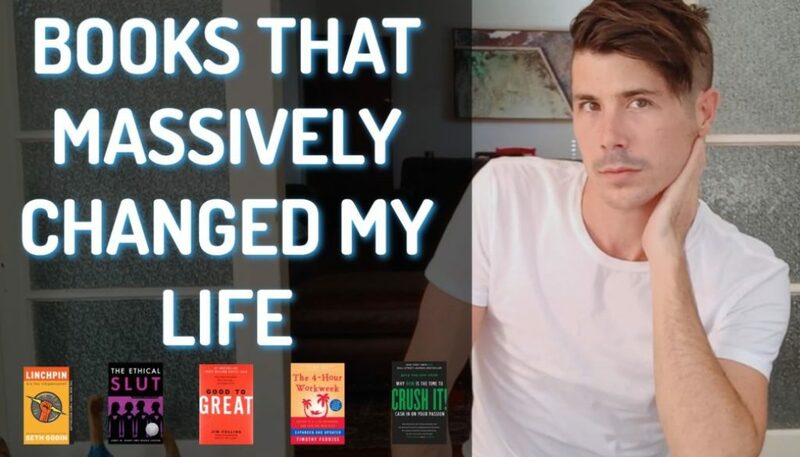 And so, I have tried to do this personally twice, I looked at my portfolio, cleaned out certain assets that I did not think were going to do what I needed them to do or were not just right for that time; and then reaped with that money into new assets which have performed far better. So, it is a super hard thing to do but like anything else in the world, like if your business is not working, you are going to do things to change your business. If your portfolio is not working and shares are stupid, you are going to do things to change it up. We should be looking at property in the same way; not necessarily as bleak as the sound of some of those other things but definitely worth consideration to make sure that you are getting the best potential return because in 10, 15, 20 years in the future, it is going to dramatically affect where you end up. Ryan: Yeah. So really, it comes back to the same thing we were talking about with the properties where the market is going down. If your property is under-performing, then you want to assess what the future is going to be for this area; what the future is going to be for this property. Try and look forward 10, 20 years in the future and then say, “Okay, could this money be better spent somewhere else and get me better growth, better cash flow, better whatever it is you want as return of investment, if I invest it somewhere else?” And obviously, you probably need to consider the exit fees and things like that when you sell your property as well, and buy a new one because you are looking at agent commissions and stamp cheatty, so it is not a cheap thing to do. Ryan: So, you do not want to just do it willy-nilly, but definitely like Ben said, you need to separate yourself emotionally from owning that property, from accepting that maybe you made a mistake in the purchase or it did not happen the way you wanted it to. And then look for better opportunities. Ben: I sort of really, really started to see and actually listen to one of the podcasts the other day from the Property Catch, which I have just started listening to and found this one that is actually interesting. So, what I did was compare 2 properties in 2 different markets in Sydney 15 years ago. Both of these properties were 2-bedroom units with almost exactly the same features, and one of those properties had increased over the 15 years from $200,000 as a purchase price to $1.5 or $1.45 million. Ryan: Well, that is alright for 15 years. Ben: The other one had increased from $200,000 to $660,000. And what was interesting was anybody in their right mind would be so happy with each of those gains, but had your money bought the second option, which had only increased by $400,000, you have literally lost yourself almost $800,000 over the same period of time by being in the wrong investment that is not performing in the right way. So that for me just blew my mind in terms of this opportunity cost conversation, which I think more investors need to think about. Ryan: Yeah, totally! And I think we want us to touch on when it comes to selling your property is that if your property is not actually moving you towards your goals anymore. So, over time people’s knowledge about investing in property changes; their goals and what they want in life changes. They might go through a divorce, or they might have kids; life changes all the time. and so, what are some situations where people might say. “Okay, this property may have been good in the past but is not actually moving me towards my goals. And I might want to move onto something else,”? Ben: Well, yeah. A lot of people start their investment journey buying highly negatively geared property in a metro market because that is what they have been told to buy, or that is what mainstream society still promotes, and most of the buyer’s agent and property marketers in Australia are still plugging up that product every day of the week. And that is fine if what was going to happen in the future is what has happened in the past, but property prices are not going to double every 7 to 10 years. There is absolutely no way in the world, and we might have periods of complete correction in the future at some stage. So, if you are holding onto assets just because you hope that they will double at some point in the future, and it is burning a hole in your pocket every single week; I think that is a perfect example of that-strategy-might-not-be-right-for-you, especially if you start listening to your stuff, which is talking about in a manufactured growth, quality markets, positive cash flow. There is a completely new way of doing things at the moment. I talked to someone the other day, actually one of the people in your community. I will not name names, but they are only saying that they owned 11 negatively geared properties that were costing them $75,000 per year out of their after-tax income to hold, and they were freaking out and trying to sell every one of them offside that they could rebuild anew portfolio. And I said there is nothing I can do to help you until you remove those assets from your pocket because they are all in regional areas. None of them, to me, looked like they had a future performance value. And so, that sort of stuff is scary, so knowing there is an option from negatively geared to manufactured growth, to positively geared to high quality market place is definitely a part of the journey. You are going to get better with every single purchase as well. Imagine, your first negatively geared property in 10 years’ time, you now had to do a development of 4 units, and you sell 3; the fourth one outright. That is passive income for life. Stuff are going to change as you get more sophisticated, as you go through. Ryan: Yeah. Well, I guess that it all comes back to what we were saying about under-performing properties. It is not necessarily that the property you purchased is under performing, but it maybe under-performing compared to your newly acquired skills as well as your newly acquired goals that you have for yourself. 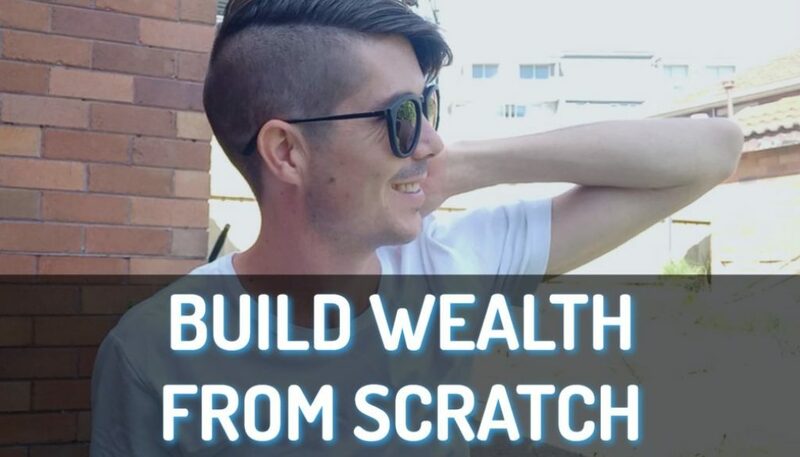 So, what might have worked for you in the past – you just want to own some property, get some growth out of it, it could be negatively geared; now, you want to start seeing some passive income coming in. You want that to help fund your lifestyle or maybe you want to invest in other areas or something like that, or do developments like you said. Again, it comes back to that. It seems like we are just going around the same circle; constantly be assessing your own portfolio, assessing what the future of that portfolio – all those properties are likely to be. And then, work out the opportunity cost versus taking that money and investing in something else that maybe more aligned with your goals. So, it is kind of like everything; whether the market is going down, whether it is under-performing, or whether our goals have changed. It is just like, go back, assess your property, assess what the future is going to be like, and can you take that money and do better in the future. Ben: And be as smart as bow when planning your future, you realize the one thing that the Australian property market does not have now is an oversupply of affordable housing. So, if you can create something that represents a more affordable option for people then that sort of stuff, long-term, is where the gold is going to be; and that is where people are going to make some good money from looking at property in a different way, and filling – I suppose, that demand for something affordable for the average Australian. Ryan: Yeah, because property prices are getting so insane in some areas now, and pricing a lot of people out of the market. So, I guess in summary, when it comes to when should I sell my property, it is very, very specific to your unique situation, your unique property, your unique market, your unique goals and ambitions for your life and your financial situation. So, obviously ideally you would like to sell at the top of the market and get out before it stagnates or declines. But if you have not been on the bowl, you do not know when the top of the market is, then you might want to assess your property. Look towards the future, and then assess other markets as well and say, “Well, I have X amount of equity in this property. If I sold it, I would have this much cash. Could I do more with that?” Then just leave it in the property that I have, which is a cool approach to it. I think I have heard people talk about it before, like if you were starting from zero, forget the past. If the only thing you had was the equity that was in your current property, what would you do with it? Would you buy that property again? And would you hold that property? Or would you actually buy something else? And so, I think that is a pretty cool way to look at it as to say, “Okay, let us reset the board. If I had this money, would I buy that property again? Or would I buy something else?” And that would hopefully help you make the decision. Ben: Absolutely! I think the interview that you did with Steve McKnight the other day was an absolute cracker where I think he said he bought off 800 properties in the last 20 years, and he moved from positively geared residential housing to positively geared undervalued American housing to now, it sounds like he is moving into commercial; and then from commercial into very expensive in the city Australian properties. So, it is super interesting to see someone with that level of sophistication, look at property investing is not absolutely rock solid, but as liquid way, he moved between assets depending on how they are performing. Ryan: Yeah. That was a cool, a great interview. I was so pleased to be able to interview him. If you want to check that out guys, just go to OnProperty.com.au/352. And so Ben, if people want to get in contact with you, obviously you are a buyer’s agent, financially free yourself and you now help people do the same thing, you have a free strategy session that you are offering On Property listeners. We just want to talk a little bit about what people can expect from a free strategy session with you. Ben: Yeah. So, this session is really based around understanding where you are right now, and understanding your current property portfolio and then understanding where you would like to be in the future and trying to map out that journey. Ryan: Sounds like exactly like what we just talked about, when should you just sell your property, do those steps. So basically, you will help people to do those steps and to prepare them for the future. Is that right? Ben: That is exactly it! Ryan: Cool! 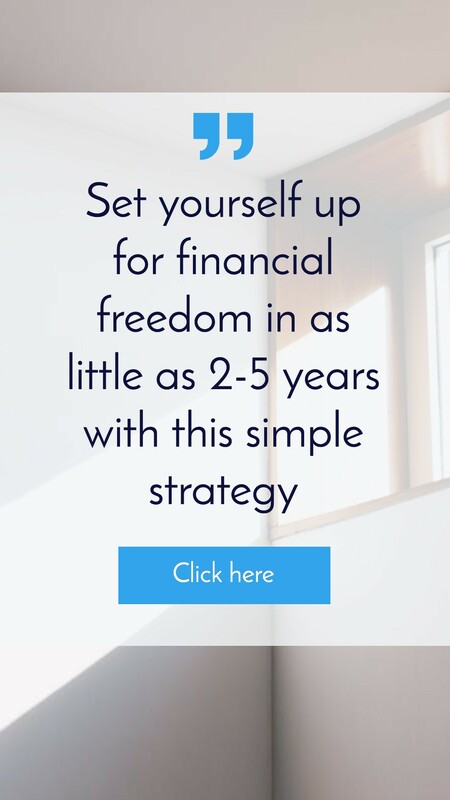 So, if you guys want to get one of those free strategy sessions with Ben, if you are interested in getting someone help you and take you to the next level and grow your portfolio, go to OnProperty.com.au/session and you can request a free strategy session over there. And thanks so much to Ben for offering that to our audience. Well, that is it from us today guys! Until next time, stay positive!